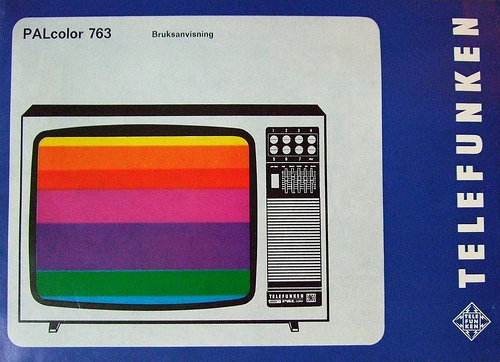 PAL, short for Phase Alternating Line, is a colour encoding system for analogue television used in broadcast television systems in most countries broadcasting at 625-line / 50 field (25 frame) per second (576i). 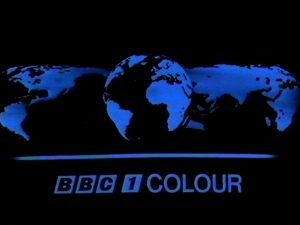 In the 1950s, the Western European countries commenced planning to introduce colour television, and were faced with the problem that the NTSC standard demonstrated several weaknesses, including colour tone shifting under poor transmission conditions. To overcome NTSC’s shortcomings, alternative standards were devised, resulting in the development of the PAL and SECAM standards. 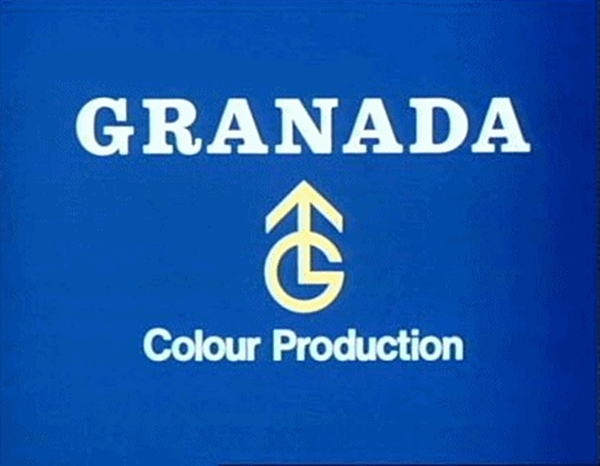 The goal was to provide a colour TV standard for the European picture frequency of 50 fields per second (50 hertz), and finding a way to eliminate the problems with NTSC. Telefunken was later bought by the French electronics manufacturer Thomson. 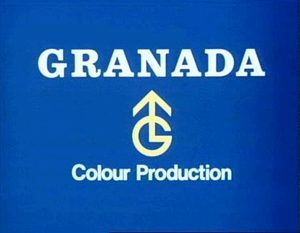 Thomson also bought the Compagnie Générale de Télévision where Henri de France developed SECAM, the first European Standard for colour television. 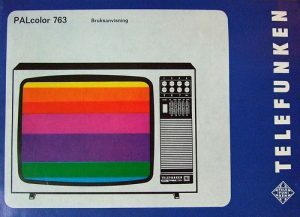 Thomson, now called Technicolor SA, also owns the RCA brand and licenses it to other companies; Radio Corporation of America, the originator of that brand, created the NTSC colour TV standard before Thomson became involved. The term PAL is often used informally and somewhat imprecisely to refer to the 625-line/50 Hz (576i) television system in general, to differentiate from the 525-line/60 Hz (480i) system generally used with NTSC. Accordingly, DVDs are labelled as PAL or NTSC (referring to the line count and frame rate) even though technically the discs do not carry either PAL or NTSC composite signal. CCIR 625/50 and EIA 525/60 are the proper names for these (line count and field rate) standards; PAL and NTSC are only the method of transmitting color to the TV. Both the PAL and the NTSC system use a quadrature amplitude modulated subcarrier carrying the chrominance information added to the luminance video signal to form a composite video baseband signal. The frequency of this subcarrier is 4.43361875 MHz for PAL, compared to 3.579545 MHz for NTSC. The SECAM system, on the other hand, uses a frequency modulation scheme on its two line alternate colour subcarriers 4.25000 and 4.40625 MHz. 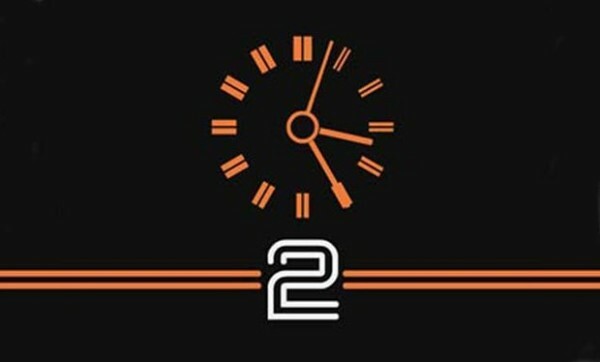 The name “Phase Alternating Line” describes the way that the phase of part of the colour information on the video signal is reversed with each line, which automatically corrects phase errors in the transmission of the signal by cancelling them out, at the expense of vertical frame colour resolution. Lines where the colour phase is reversed compared to NTSC are often called PAL or phase-alternation lines, which justifies one of the expansions of the acronym, while the other lines are called NTSC lines. Early PAL receivers relied on the human eye to do that cancelling; however, this resulted in a comb-like effect known as Hanover bars on larger phase errors. Thus, most receivers now use a chrominance analog delay line, which stores the received colour information on each line of display; an average of the colour information from the previous line and the current line is then used to drive the picture tube. The effect is that phase errors result in saturation changes, which are less objectionable than the equivalent hue changes of NTSC. A minor drawback is that the vertical colour resolution is poorer than the NTSC system’s, but since the human eye also has a colour resolution that is much lower than its brightness resolution, this effect is not visible. In any case, NTSC, PAL, and SECAM all have chrominance bandwidth (horizontal colour detail) reduced greatly compared to the luminance signal. The 4.43361875 MHz frequency of the colour carrier is a result of 283.75 colour clock cycles per line plus a 25 Hz offset to avoid interferences. Since the line frequency (number of lines per second) is 15625 Hz (625 lines × 50 Hz ÷ 2), the colour carrier frequency calculates as follows: 4.43361875 MHz = 283.75 × 15625 Hz + 25 Hz. 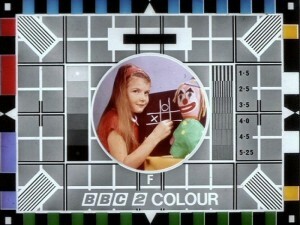 The original colour carrier is required by the colour decoder to recreate the colour difference signals. Since the carrier is not transmitted with the video information it has to be generated locally in the receiver. In order that the phase of this locally generated signal can match the transmitted information, a 10 cycle burst of colour subcarrier is added to the video signal shortly after the line sync pulse, but before the picture information, during the so-called back porch. This colour burst is not actually in phase with the original colour subcarrier, but leads it by 45 degrees on the odd lines and lags it by 45 degrees on the even lines. This swinging burst enables the colour decoder circuitry to distinguish the phase of the R-Y vector which reverses every line. 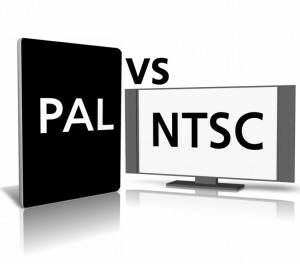 PAL usually has 576 visible lines compared with 480 lines with NTSC, meaning that PAL has a 20% higher resolution. Both PAL and NTSC have a higher frame rate than film, 24 frames per second. Most TV output for PAL and NTSC use interlaced frames meaning that even lines update on one frame and odd lines update on the next frame. Interlacing frames gives a smoother motion with half the frame rate, the downside is with scene changes. NTSC is used with a fps of 60i or 30p whereas PAL generally uses 50i or 25p; both use a high enough frame rate to give the illusion of fluid motion. This is due to the fact that NTSC is generally used in countries with a utility frequency of 60 Hz and PAL in countries with 50 Hz, although there are many exceptions. PAL has a closer frame rate to that of film and is less likely to suffer from issues caused during frame rate conversion. Artefacts caused by frame rate conversion required when video has been recorded at the wrong rate for the display can be severe. In the early 1970s some Japanese set manufacturers developed decoding systems to avoid paying royalties to Telefunken. The Telefunken license covered any decoding method that relied on the alternating subcarrier phase to reduce phase errors. This included very basic PAL decoders that relied on the human eye to average out the odd/even line phase errors. One solution was to use a 1H analog delay line to allow decoding of only the odd or even lines. For example, the chrominance on odd lines would be switched directly through to the decoder and also be stored in the delay line. Then, on even lines, the stored odd line would be decoded again. This method effectively converted PAL to NTSC. Such systems suffered hue errors and other problems inherent in NTSC and required the addition of a manual hue control. 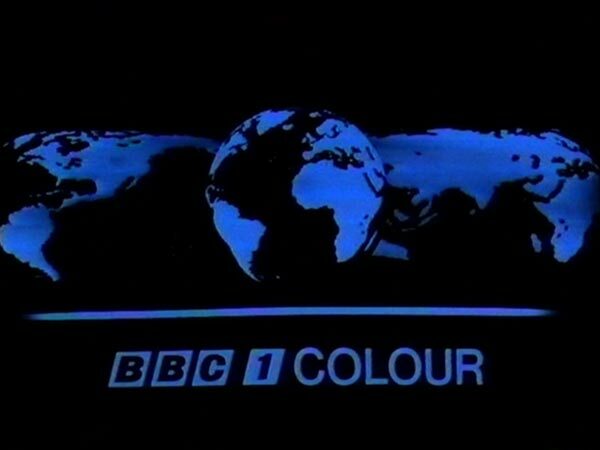 SECAM is an earlier attempt at compatible colour television which also tries to resolve the NTSC hue problem. It does so by applying a different method to colour transmission, namely alternate transmission of the U and V vectors and frequency modulation, while PAL attempts to improve on the NTSC method. SECAM transmissions are more robust over longer distances than NTSC or PAL. However, owing to their FM nature, the colour signal remains present, although at reduced amplitude, even in monochrome portions of the image, thus being subject to stronger cross colour. Like PAL, a SECAM receiver needs a delay line, but unlike PAL, it is not possible to build a SECAM receiver without one. A decision was made to introduce a nationally co-ordinated network of transmitters using the UHF 625-line television system. 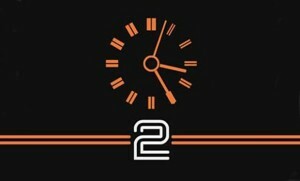 The first station to appear on this system was BBC 2 in April 1964. 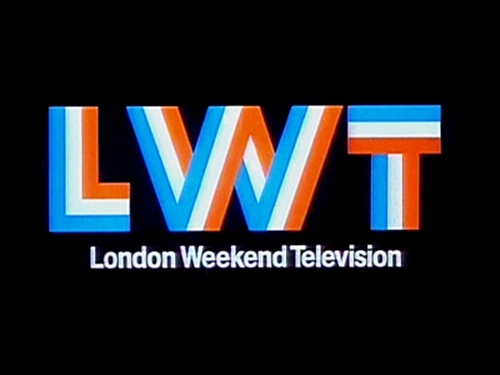 From 1969, the two VHF services also started to use this network, which took many years to complete. One reason for the long switch-over period was the difficulty in matching the coverage level of the new UHF 625 line service with the very high level of geographic coverage achieved with the 405-line VHF service. Whereas the VHF system had less than 200 transmitters at approximately 100 locations at closure, the UHF system numbered more than 4,500 transmitters at over 1,100 sites. Analogue terrestrial transmissions finally ceased on 24 October 2012 following the shutdown of the last remaining analogue transmitters in Northern Ireland, with the rest of the United Kingdom having undergone switchover in the four years prior to this.